Loom work I love it. Fast and easy to follow patterns but, the removal can be tricky. Try this simple variation. 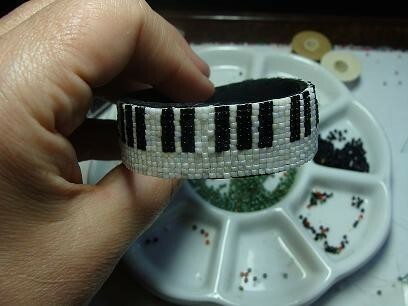 The piano bracelet is one of my original patterns. could anyone recommend an off-the-loom stitch that Icould make this with? 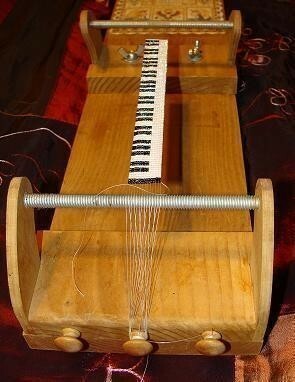 I don't have a loom but it's soo pretty! I reeelly want to make it, but i never tried beading on loom... looks complicated. omgomgomgomgomgomg!!!! i LOVE this. Thank you! Very crafty! I <3 IT! I like your Bracelet! I first saw it on your website. It looks great! Where did you get the loom. I would love to try this.